02 Sep	This entry was published on September 2, 2012 at 5:47 pm. 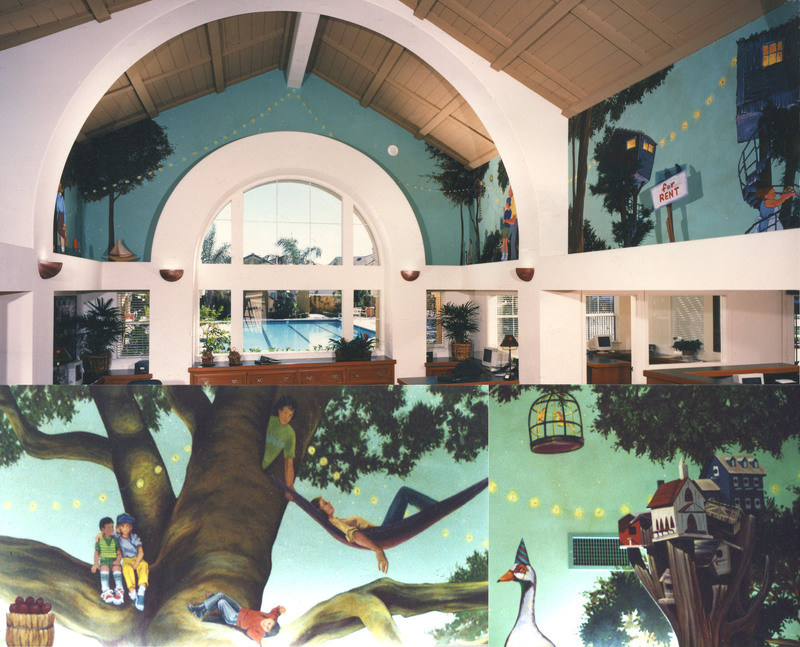 It’s filed under Corporate Art, Irvine Co Projects, Trompe loeil and tagged corporate art, custom murals, decorative arts, graphics, Irvine murals, landscape painting, large scale art, photo realism, public art, San Diego Artists, San Diego Muralists, San Diego Murals, Santa Maria Apartments, treehouses, trompe loeil. Bookmark the permalink. Follow any comments here with the RSS feed for this post.